A mother of two went to Westminster to call on the government to invest more in finding a cure for brain tumours. 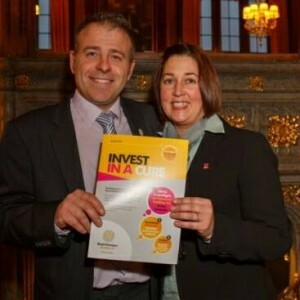 Nicole Taylor, 42, of Soulbury, was diagnosed with a brain tumour in 2008, she joined other patients, scientists and charities to present a new manifesto from Brain Tumour Research to MPs on Tuesday, March 17. The Invest In A Cure manifesto invites the government to work with Brain Tumour Research and shine the light on research funding and facilitate innovation by providing a dedicated fund for brain tumour research. She said: “It is great to see the great commitment from the charity Brain Tumour Research into giving people like me a national voice. 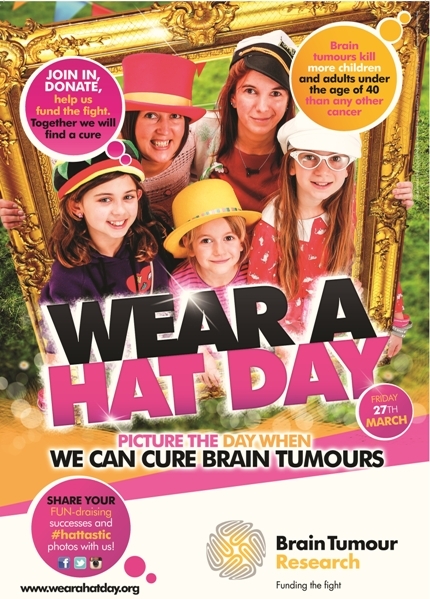 “Brain tumours kill more children and adults under the age of 40 than any other cancer. Since undergoing major surgery on her meningioma tumour, Nicole has campaigned for greater awareness and has raised more than £10,000 for the charity through her own fundraising group Head 1st. Sue Farrington Smith, chief executive of Brain Tumour Research, said: “We have a clear set of recommendations for MPs that represent the voice of our members and supporters. “We need a clear plan from the Government to start the changes needed that will give patients the confidence that more effective treatments are being identified and ultimately cures will be found. “At the current rate of spend, it could take 10 years for brain cancer to catch up with developments in other diseases to find a cure. “We are striving to fund a network of seven dedicated research centres whilst challenging the Government and larger cancer charities to invest more in brain tumour research.